William Joyce, the leading commentator for Nazi propaganda in English, who was nicknamed “Lord Haw-Haw” in Britain. William Joyce is an Irishman by birth, was born in the USA, and at the age of 3, he returned to Ireland with his parents. In 1921 he moved to live in England, graduated from the University of London. Before the beginning of World War II, he was a member of various anti-communist groups, since 1932 he was a member of the British Union of Fascists of Oswald Mosley, in 1937 he left the organization and founded his own National Socialist League. In August 1939, William Joyce moved to Germany, where he became involved in Nazi propaganda in the UK, was the author of the program Germany Calling. 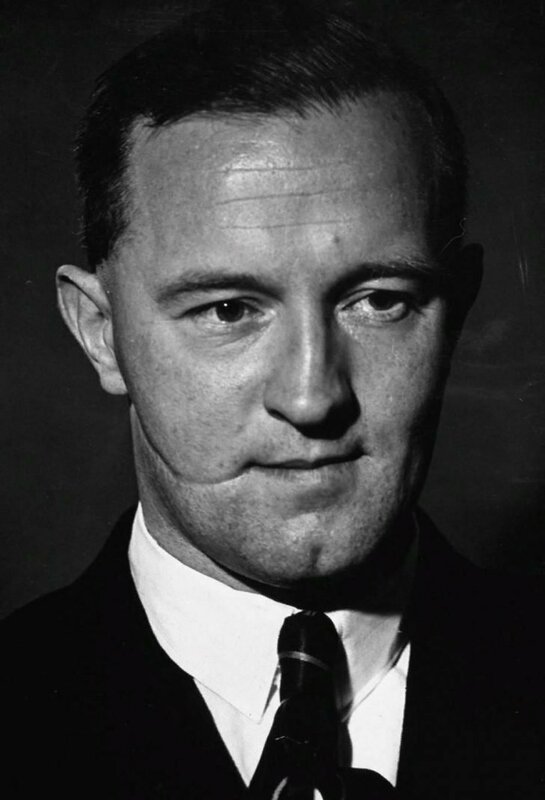 William Joyce got his nickname “Lord Haw-Haw” for his characteristic diction, reminiscent of a dog barking. In May 1945 he was arrested by the British authorities, tried by a military court and sentenced to death for war crimes and treason. On January 3, 1946, William Joyce was hanged in Wandsworth Prison in London. His execution was a violation of existing legal regulations, since he was not a citizen of Great Britain (in 1940, Joins was granted German citizenship, and before that he was a US citizen).